Are desserts mentioned in the Bible? Yes, I know that sounds like a weird question, but, when it comes to food and desserts, my mind wanders. And, when my mind wanders, all sorts of strange things go through my head. I didn’t really see much about desserts in the Bible. They talk about fruit and nuts and honey. Honey was the closest dessert I could find. What I really thought sounded like a wonderful dessert was manna. Exodus 16:31 And it was like white coriander seed, and the taste of it was like wafers made with honey. Now, that sounds like a wonderful breakfast bread to me! Wafers made with honey? Wow! Can you imagine what that must’ve been like – finding food on the ground that was left directly by God’s hand? I just think it’s cool and so utterly amazing that it just blows my mind! I wish I could taste manna. I’ve often been curious about this bread-like food that came from heaven, initially sheltered beneath a layer of dew. I’ve seen frost on the ground a number of times. But, I can only imagine what it must’ve been like to go out and actually gather the frost-like substance which was actually bread that tasted like wafers made with honey. I enjoy the sweet, sticky taste of honey! The Israelites also made them into cakes. I wonder how those manna honey cakes tasted? The Israelites ate this food for forty years until they came to a settled land. This sweet food was truly a miracle straight from God. Can you think of any other sweets mentioned in the Bible? 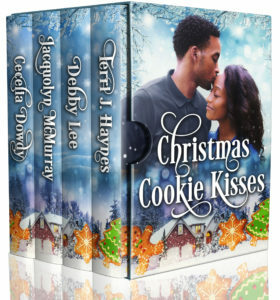 Speaking of desserts, I re-released my novella, Loving Luke in this box set entitled Christmas Cookie Kisses! Grab your copy of these wonderful sweet Christian contemporary Christmas romance tales! 13 So it was that quails came up at evening and covered the camp, and in the morning the dew lay all around the camp. 14 And when the layer of dew lifted, there, on the surface of the wilderness, was a small round substance, as fine as frost on the ground. 15 So when the children of Israel saw it, they said to one another, “What is it?” For they did not know what it was. And Moses said to them, “This is the bread which the Lord has given you to eat. 7 Now the manna was like coriander seed, and its color like the color of bdellium. 8 The people went about and gathered it, ground it on millstones or beat it in the mortar, cooked it in pans, and made cakes of it; and its taste was like the taste of pastry prepared with oil. 9 And when the dew fell on the camp in the night, the manna fell on it. 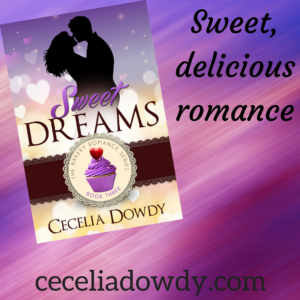 Cecelia Dowdy has been an avid reader since she learned to string letters together to form words. While pursuing a business degree in college one of her professors tried to convince her to get an English degree since he felt she was a great writer. Years later, after receiving her BS in Finance, she took her former teacher's advice, and started pursuing her literary career. She loves to read, write, and bake delicious desserts during her spare time. She also loves visiting new places and listening to old tunes with her husband. Currently she resides with her spouse and pre-teen son in Maryland. Hi Cecelia, interesting post. I have never thought about desserts and the Bible before. I love coriander in salads…haven’t thought of it as a dessert. Without refined sugar, honey and dried fruit probably made up the bulk of what was considered dessert in Bible times. I wonder if they had baklava? That’s a great question! I do wonder if they had baklava back then! Hi Cecelia! What an interesting question, which made me google. As a European, who loves almonds, which are a dessert. Then there are figs, grapes, raisins, and honey. Since bread even in the old testament, bread was a staple – one could presume there were sweet breads by adding honey, almond, and figs. Christmas Cookie Kisses is on my TO READ pile. Next few weeks will be busy with grandma duties. Best wishes. Happy Holidays. Renate, thanks so much for purchasing Christmas Cookie Kisses and thanks SO MUCH for this article! It’s so interesting! I’m going to be sharing it all day with others! So many interesting things to talk about on that link. I think the cakes of figs quoted in the scripture that you shared could be considered a dessert! Hey, I wonder if those cakes of figs tasted anything like a Fig Newton cookie? I just adore honey! I love that it is a food mentioned in the Bible! Yes, it’s a good, sweet food. I’d imagine that they dipped almonds and figs into honey during Biblical times! It’d have been a great sweet treat after dinner! As I was reading the article I was thinking of dried figs and raisins, maybe baked into breads or cakes. I saw another comment suggesting the same thing. It’s doubtful they had sugar at that time, but still, I can’t help but wonder. Hi, Debby Lee! I’m so glad you were able to stop by and leave a comment! Yes, I agree with you! I think the dried figs and raisins were baked into breads. I’d imagine that honey would’ve been used to sweeten the bread! Sounds delicious! I wouldn’t mind a few slices of that for breakfast! Yummy! Very interesting! I love honey on waffles! I’ve never tried honey on waffles, but, I’d imagine it’d be good! I’ve had honey on biscuits! Tastes so sweet and GOOD, especially when the biscuits are hot! Also good to add butter on the biscuit with the honey! Interesting post, Cecelia. The word manna made me wonder if the Hawaiian word, spelled mana, has a similar meaning and it does. Hawaiian words typically have numerous meanings, but one meaning is spiritual. Don’t you just love words? Yes, I love words! So interesting about the Hawaiian word mana!